Homeland Security’s proposed public charge rule update is a Democrat’s worst nightmare: a law that not only keeps immigrants off the welfare rolls, but expands the definition of what makes them dependent on our government. So threatening is the concept that people shouldn’t come to this country with the expectation of an instant handout that party members argue public assistance like food stamps and Medicaid shouldn’t be considered the same as cash. Can they make this sound convincing to taxpayers who fund our liberal nanny state? That means we don’t want indigents throwing themselves on our doorstep. That makes sense. 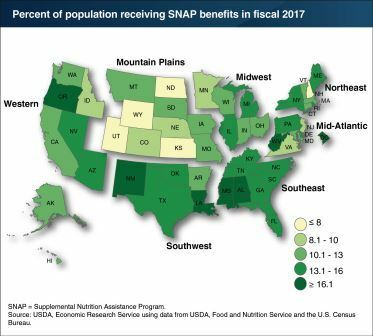 Even at 3.7% unemployment we’re already supporting people who can’t make ends meet and rely on wasteful programs like Medicaid and SNAP to get by. So why the problem with expanding the public charge law to keep people away from welfare? It’s not clear whether Congresswoman Lee is talking about legal or illegal immigrants, but the public charge rule applies to admissibility for those seeking legal status. As we all know illegal immigrants aren’t supposed to receive federal benefits. That’s not what this is about. The rule update applies to immigrants here legally and looking for a green card, or those who are sponsored by families already in the U.S. If the update becomes law their ability to support themselves will weigh on the government’s decision to grant admission. We were told for years by Barack Obama that immigrants create jobs for Americans. They are doctors, nuclear physicists, exactly the kind of big brains we want here, or so the story goes. Now we’re worried about their ability to collect public assistance. Was someone not telling the truth? Liberal naiveté assumes that Republican America is the only nation that has a problem opening its borders to the needy. That’s not the case. Our neighbors to the north require a public charge statement for something as simple as sending a representative of a U.S. company to their country. My own experience is that getting a worker across the U.S.-Canadian border for after-sales technical support or service is a difficult feat. You need pages of documentation affirming who they are, their purpose for visiting, and a letter to Canadian customs affirming that the employee has the means of support and will not in any way become dependent on the Canadian government. Dealing with Canadian Customs personnel at points of entry can be a contentious task and if your pre-entry preparation isn’t meticulous you are not getting in. As an aside, in addition to being refused admission because of your finances you can also be turned down in Canada if you have been convicted of driving under the influence. In the U.S. we take a different approach. Many will argue that a DUI or other low level crime shouldn’t be an excuse to kick illegals out and to do so makes us unwelcoming, cruel, and racist. So why do Democrats blame America? California is still trying to add illegal immigrants to the health care rolls. An Illinois gubernatorial candidate likely to win is talking up state public option health care that can easily be turned in that direction. In the meantime, we have politicians arguing against the public charge expansion because it would make it risky for immigrants to sign up for health care or other non-cash benefits. If these people rely on public assistance they probably don’t pay a lot of taxes, unless they live in Schakowsky’s debt-ridden, tax-happy state of Illinois. Fortunately for Democrats that doesn’t matter because nothing makes sense about their opposition to the DHS proposal. What’s the difference between public assistance cash and other benefits? If you are a taxpayer there is none. If you are a Democrat the difference is enormous. Perhaps CHC members don’t understand how much these remarks fly in the face of what taxpayers have been told about the economic boost provided by well-educated, job-creating immigrants. Do people who come here to depend on the state for the basic necessities of life boost our economy? The current public charge law focuses on cash assistance. The update expands what public charge means to include programs like Medicaid, SNAP (food stamps), and other forms of non-cash public aid. We’ve heard the same rhetoric over and over about Americans on public assistance trying to reach the Middle Class. Apparently welfare doesn’t get the job done or we wouldn’t still be talking about it. Ask yourself: do we really need to add immigrants who can’t support themselves to the mix of people already dependent on the Democratic Party? Rep. Schakowsky is not the only lawmaker worried about the impact changing the public charge law will have on taxpayers who receive federal public assistance. The anger in response to a policy of not adding to the aid rolls shouldn’t be a surprise coming from Democrats. Dependence has always been their calling card. What’s perplexing is the absurdist argument that taxpayers on welfare are the people we should worry about. The taxpayers the likes of Schakowsky, Chu, and Cardenas refuse to acknowledge are the ones they treat like a bottomless bank account. They aren’t the ones on welfare, but that didn’t stop Chu from trying to add to the public aid numbers with H.R. 7052 which would block implementation of the public charge rule. 52 Democrats cosponsored. 0 Republicans signed on. What does the nonpartisan Congressional Budget Office have to say about taxes? Figures released in March 2018 showed that the lowest incomes were taxed at 2%, middle incomes at 14%, and higher earners at 27% with top earners losing 34% of their income to the Federal Government. That was before Republican tax reform, which Democrats argue make that 34% bite more unfair to the poor than ever. So what federal tax bracket do immigrant families on welfare fall into? Democrats aren’t saying, but rest assured if you ask them you’ll hear that they are the ones paying to keep the aid flowing. 1. “DHS Announces New Proposed Immigration Rule to Enforce Long-Standing Law that Promotes Self-Sufficiency and Protects American Taxpayers.” Homeland Security. September 22, 2018. https://www.dhs.gov/news/2018/09/22/dhs-announces-new-proposed-immigration-rule-enforce-long-standing-law-promotes-self, retrieved October 10, 2018. 2. “Congresswoman Lee Condemns President Trump’s Latest Attack on Immigrant Families.” Barbara Lee. September 24, 2018. https://lee.house.gov/news/press-releases/congresswoman-lee-condemns-president-trumps-latest-attack-on-immigrant-families, retrieved October 9, 2018. 3. “Schakowsky statement on Trump’s shameful Public Charge Rule change.” Jan Schakowsky. September 26, 2018. https://schakowsky.house.gov/press-releases/schakowsky-statement-on-trumps-shameful-public-charge-rule-change/, retrieved October 10, 2018. 4. “Congressional Hispanic Caucus Opposes Public Charge Rule.” Congressional Hispanic Caucus. October 4, 2018. https://congressionalhispaniccaucus-lujangrisham.house.gov/media-center/press-releases/congressional-hispanic-caucus-opposes-public-charge-rule, retrieved October 10, 2018. 6. “CBC Criticizes Latest Trump Administration Attack on Low-Income, Immigrants of Color.” Congressional Black Caucus. September 25, 2018. 7. “Statement on the Trump Administration’s Change to the Public Charge Rule.” Tony Cardenas. September 24, 2018. https://cardenas.house.gov/media-center/press-releases/statement-trump-administrations-change-public-charge-rule, retrieved October 13, 2018. 9. “Rep. Chu Bill Will Block Implementation of Proposed Public Charge Rule.” Judy Chu. October 9, 2018. https://chu.house.gov/media-center/press-releases/rep-chu-bill-will-block-implementation-proposed-public-charge-rule, retrieved October 13, 2018. 11. “The Distribution of Household Income, 2014.” Congressional Budget Office. March 2018. pp. 2-3. https://www.cbo.gov/system/files?file=115th-congress-2017-2018/reports/53597-distribution-household-income-2014.pdf, retrieved October 13, 2018.